Guardiola was a product of Lorca Deportiva CF's youth system, and made his debuts as a senior in the 2009-10 season, in the Tercera. In the summer of 2010, he signed with Segunda B club Jumilla. It was his first Segunda B season - and it ended with relegation, with Guardiola playing less than 1200 minutes. 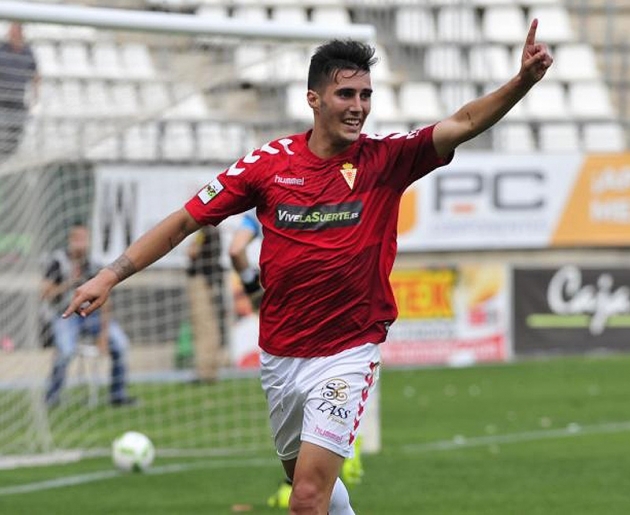 It looked as if Sergi Guardiola would be consigned to the Tercera - and his February 2012 move to CF La Nucía in the same tier was a clear indication of that. But miraculously, in August of the same year he was given his second shot in the Segunda B with Ontinyent. But once again, he barely got game time - playing just 1059 minutes - and moved to fellow league team Getafe B in January 2013. Once again, he was back in the Tercera. And once again, he bounced back - scoring nine goals with Novelda in the 2013-14 season and earning a move to Segunda B side Eldense. And this time he was not going to blow it. 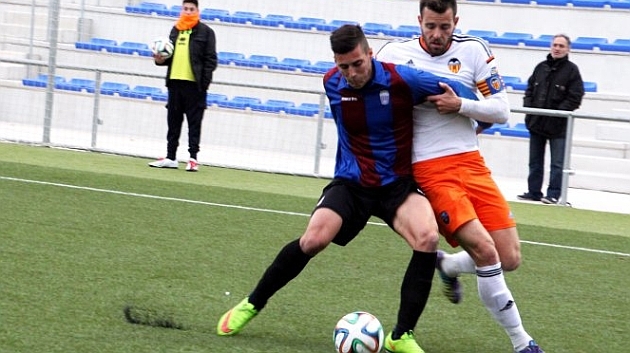 17 goals later, Sergi Guardiola found himself in the Segunda for the very first time. Alcorcón gambled on him, and he was in a professional league at the age of 24. But as became predictable, Sergi was about to face another setback. After playing just four games in the first half of the season, he terminated his contract in December 2015, and signed for Barcelona B in the third tier. It was a "dream" move in his eyes. But Barcelona's, and the world's eyes had fallen on old tweets - offensive tweets about the club and Catalonia made in 2013. He claimed they were made by a friend as a joke, and that he had not noticed they had been posted. But in eight hours he was released, looking for a new club. Granada B took him on in January 2016 - his third club of the season - and once again showed that he was ready for a shot at the Segunda. He scored eight goals in just under 1400 minutes, and was promoted to Granada's first team by new manager Paco Jémez in July 2016. He appeared regularly during the pre-season and also being an unused substitute in the opening game of the new season against Villarreal. 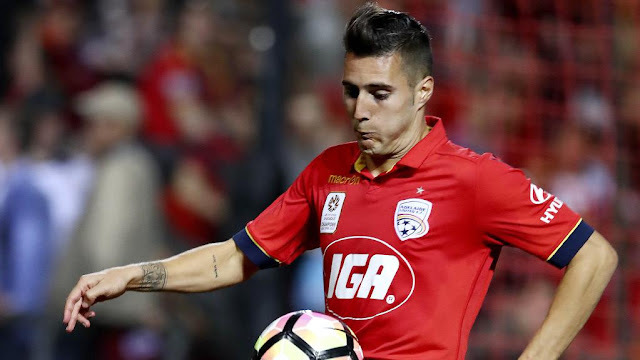 However, after the arrival of new signings, he was deemed surplus to requirements and was loaned to A-League club Adelaide United in September 2016. At first glance, it seemed like a promising move - his coach would be Barca legend Guillermo Amor. However, once again, his chances were limited. But after that, and a January loan move to Real Murcia in the Segunda B where he once again showed his prowess (10 goals in 18 games), this summer he got his shot. Finally. Córdoba were the team to give him a fair shot, and Sergi Guardiola is proving his worth. He has already scored 7 goals in 12 games so far, and is already the story of the season. He is finally showing what he is capable of - his strong left boot, his dribbling, his explosive speed, his tight ball control, his uncanny vision, and his heading ability. And there will be more setbacks. There will be more times when Sergi will have to drop down a division to prove to the world he has it in him. And there will be more clubs that don't give him a fair chance. Here's hoping that some do.